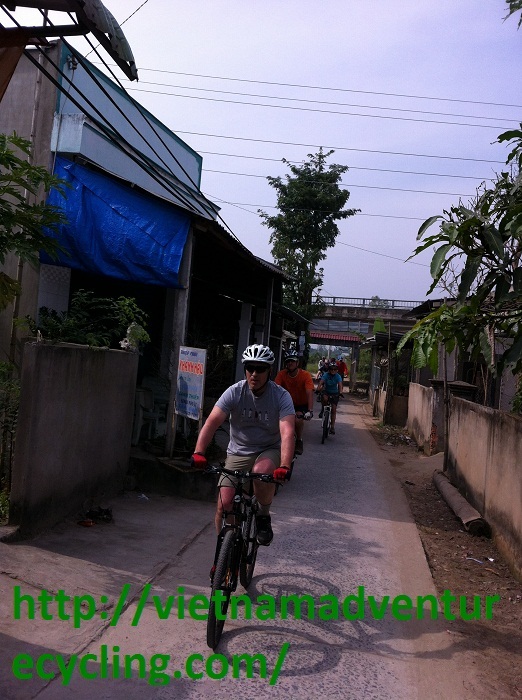 Road Surface Roads in countryside, asphalstic road,concrete road, through the orchard, local market.river bank. 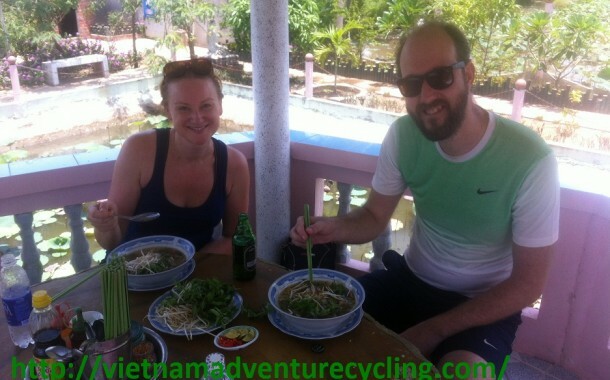 After breakfast at the hotel then transfer out of Sai gon for Mekong Delta.then we’ll take back roads to Cai be,where we’ll board a boat to An Binh island.we will spend some time to visiting artisans;we will watch coconut candy making,rice paper making and popcorn/pop rice making.then,we will enjoy luch on the island before continuing to our local home stay run by a lovely retire couple ,MR.&MRS BAY.The Bay’s live in a typical mekong vietnamese house,with airy rooms and an outdoor kitchen.the rest of the afternoon you’re free to bike around the home stay. 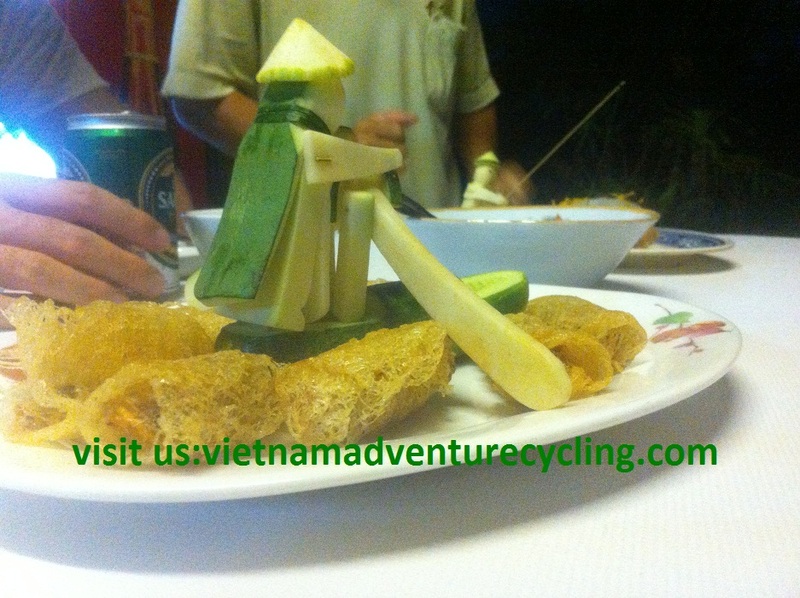 Diner at the home stay. 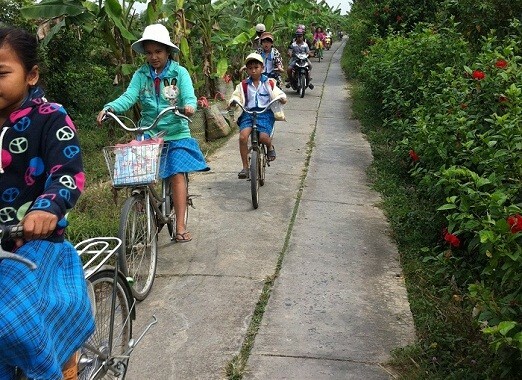 You could wake up early morning to see children rush to school and and morning activies not only in land but also on water. 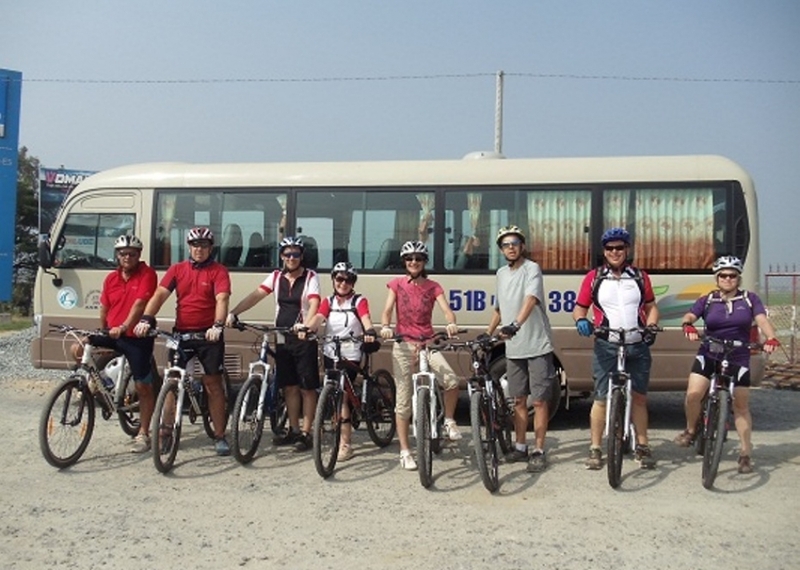 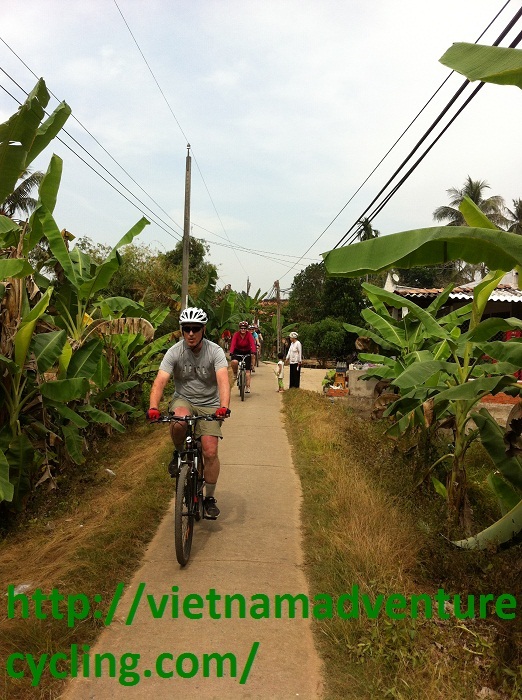 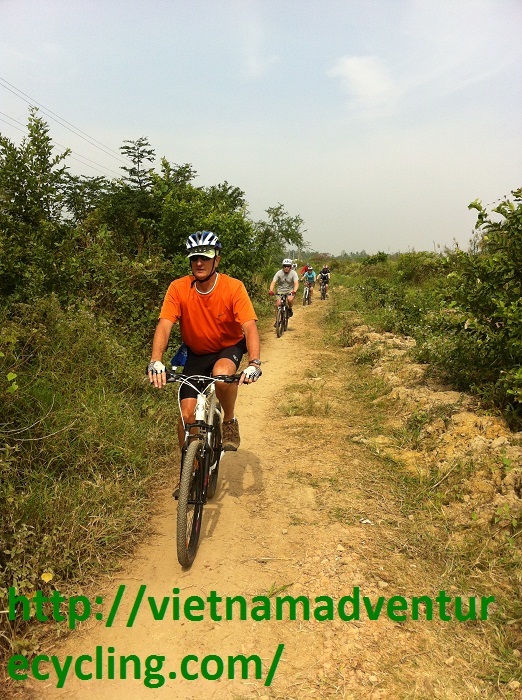 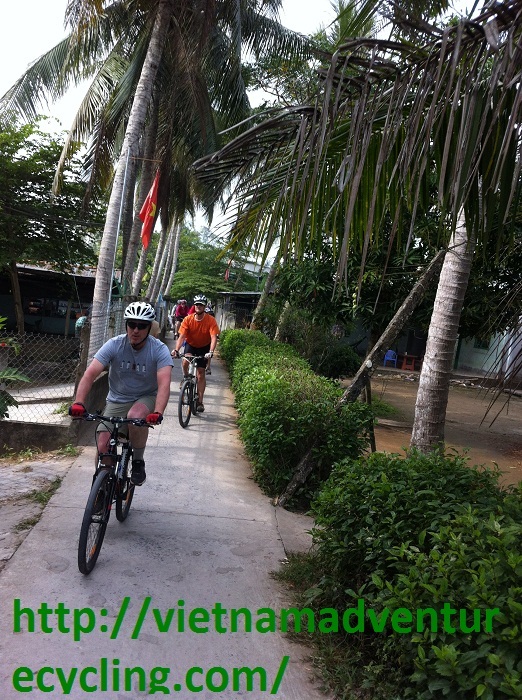 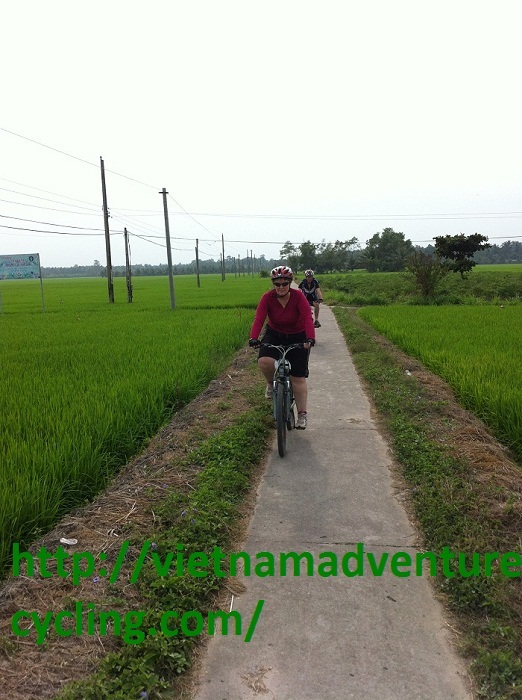 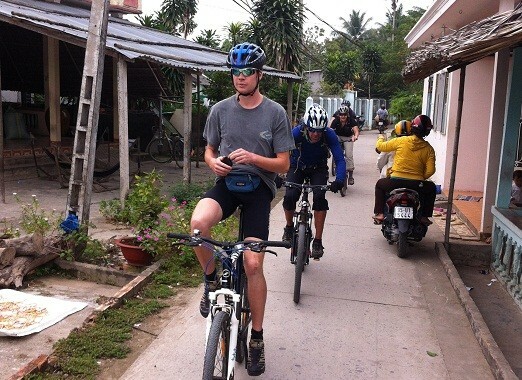 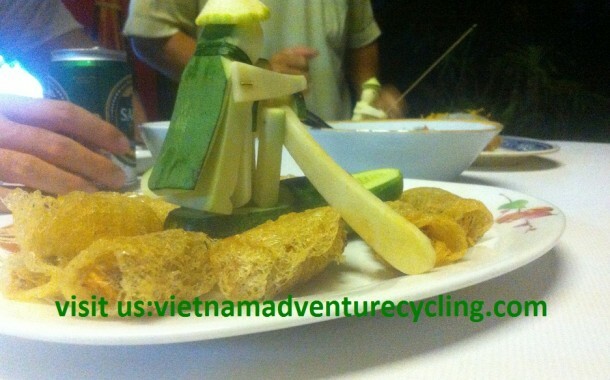 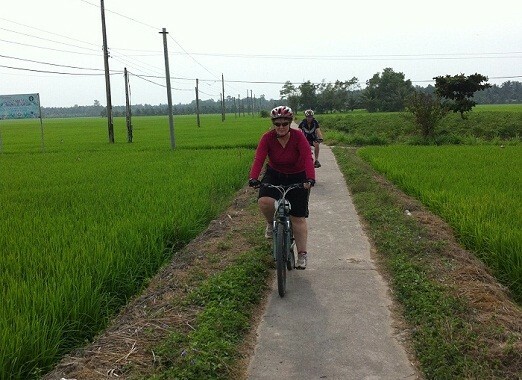 After breakfast then start biking to Mo cai market for lunch then transfer by van to Tan Trung dist. 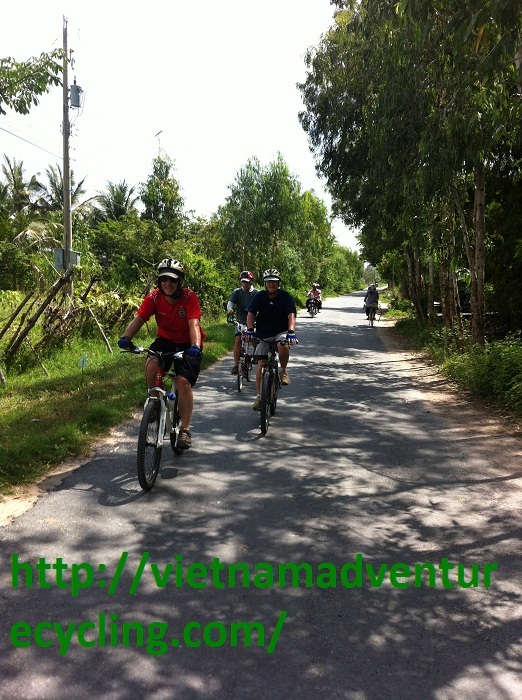 we star biking agian to Travinh The road for cycling is almost single tract under the shade of coconute trees.it is a beautiful country road with local village, taking ferry named Do Ngang crossing the Mekong delta ( Song Tien River ) that is the border of Ben Tre province and Travinh province then add 7 km ride to tra Vinh Town.Over night in Travinh. 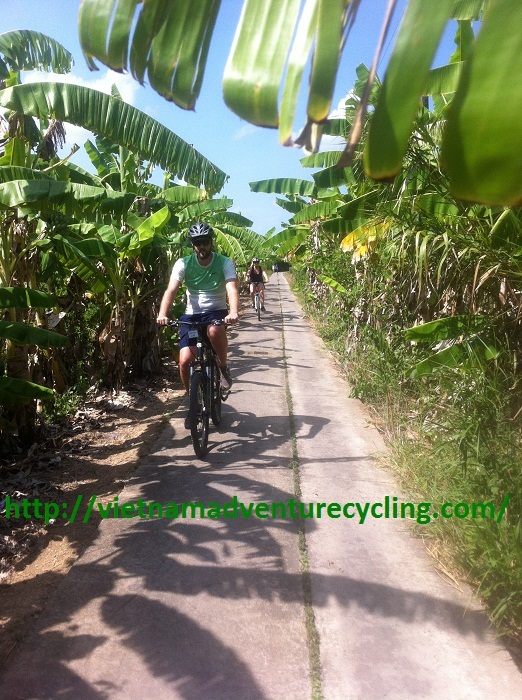 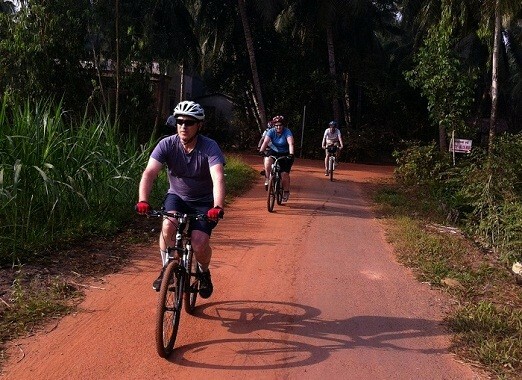 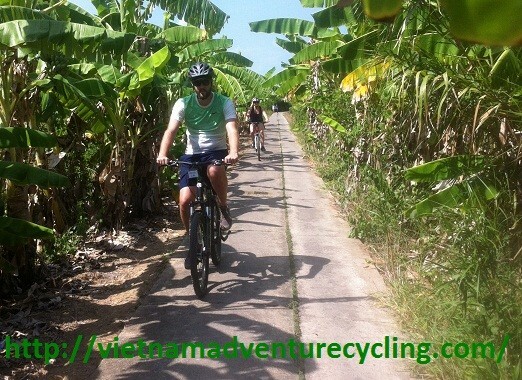 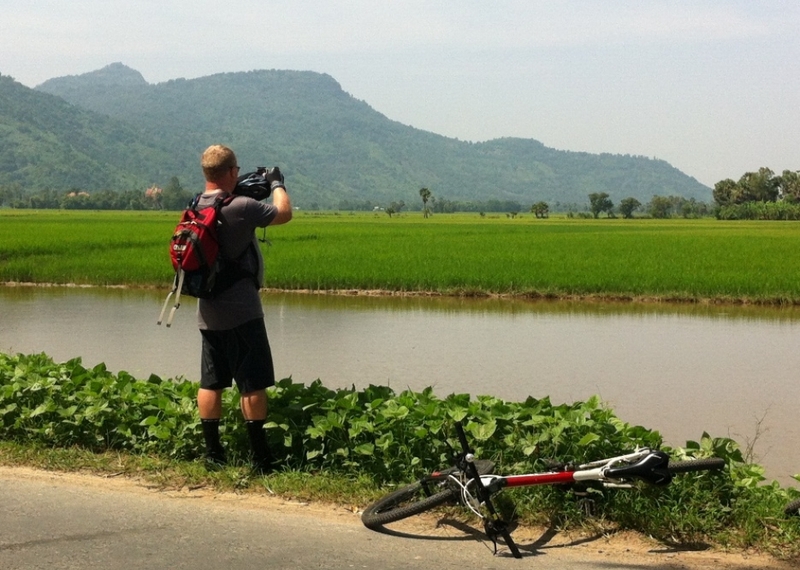 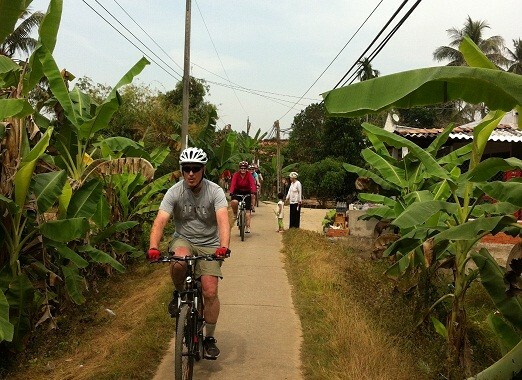 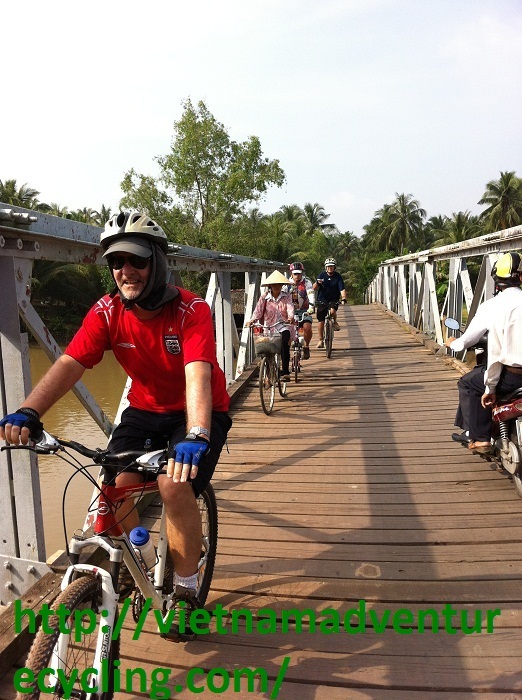 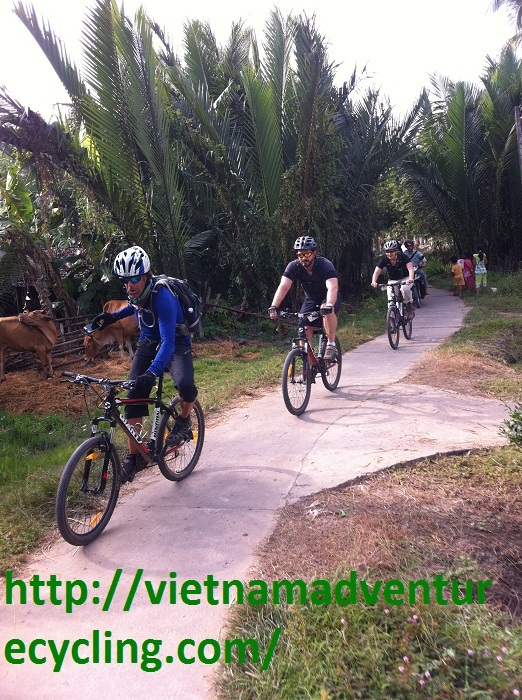 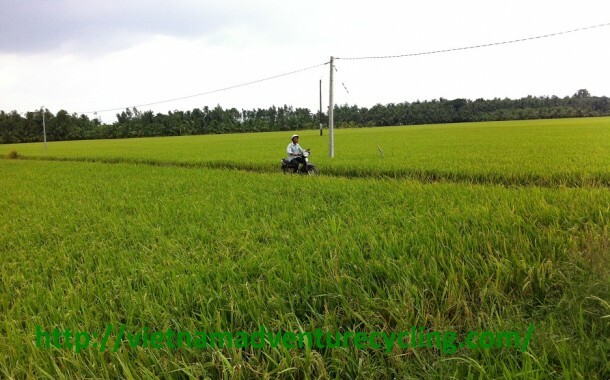 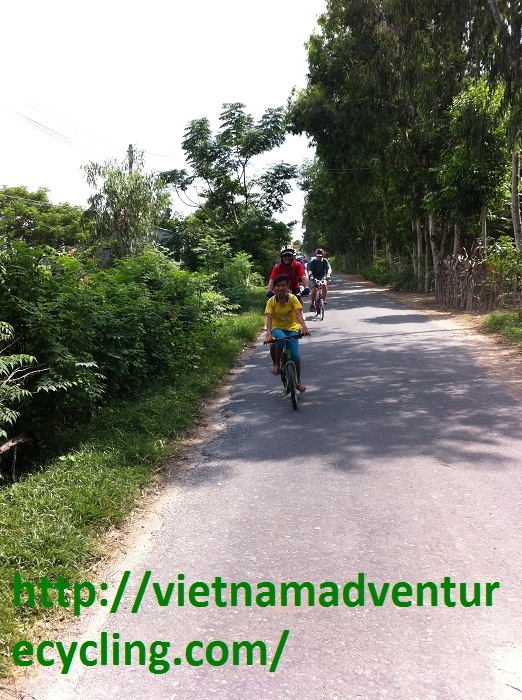 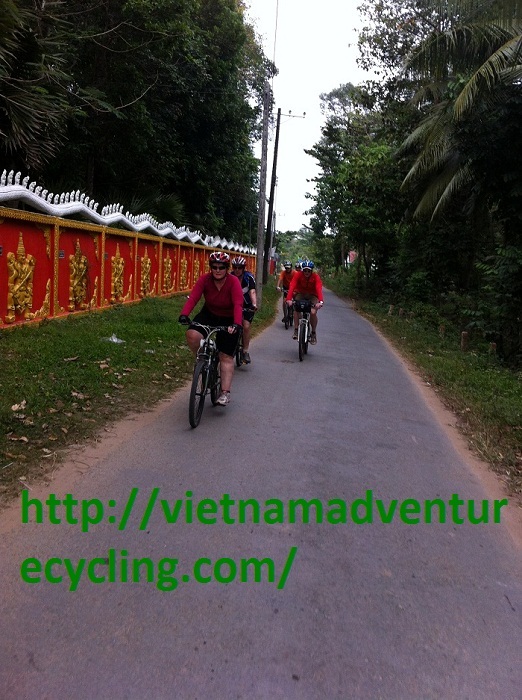 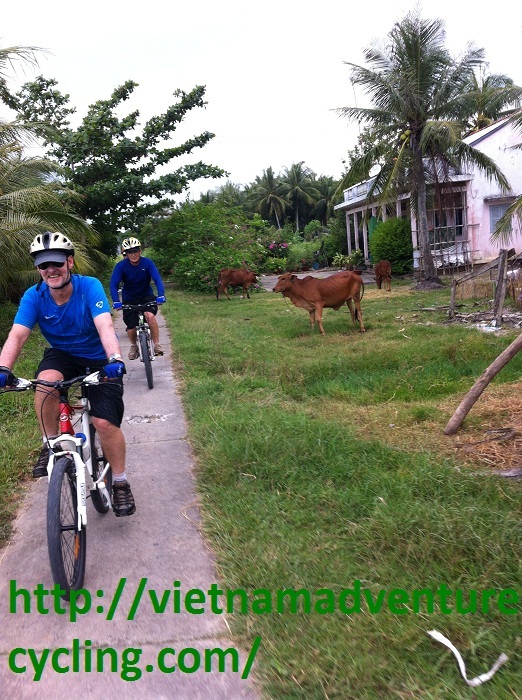 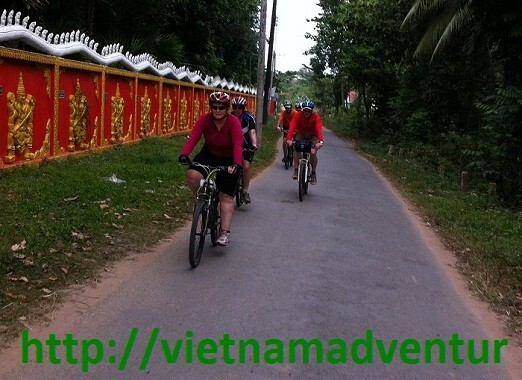 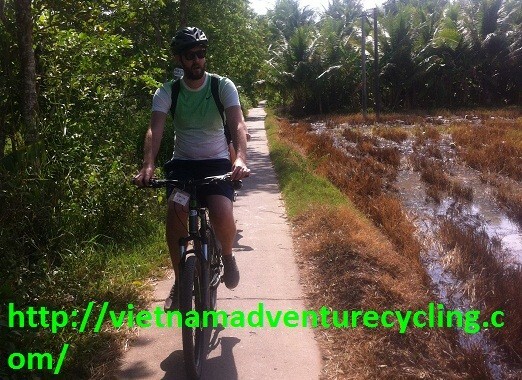 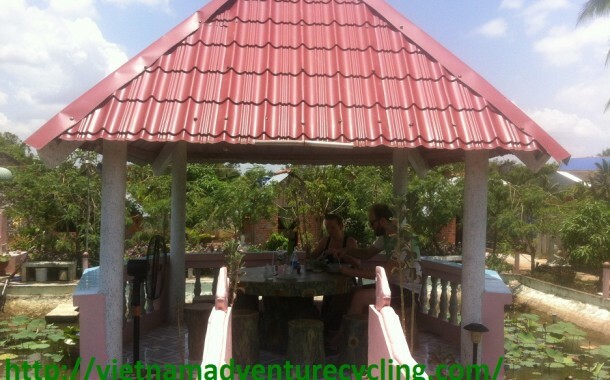 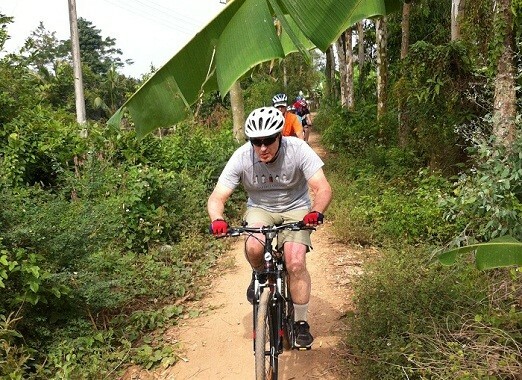 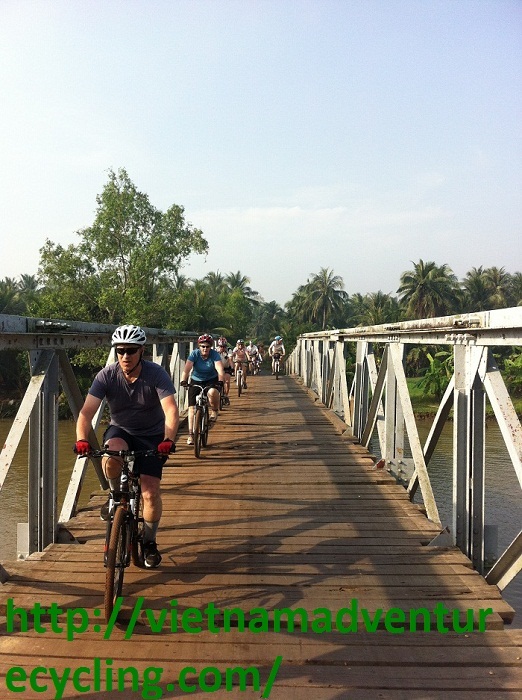 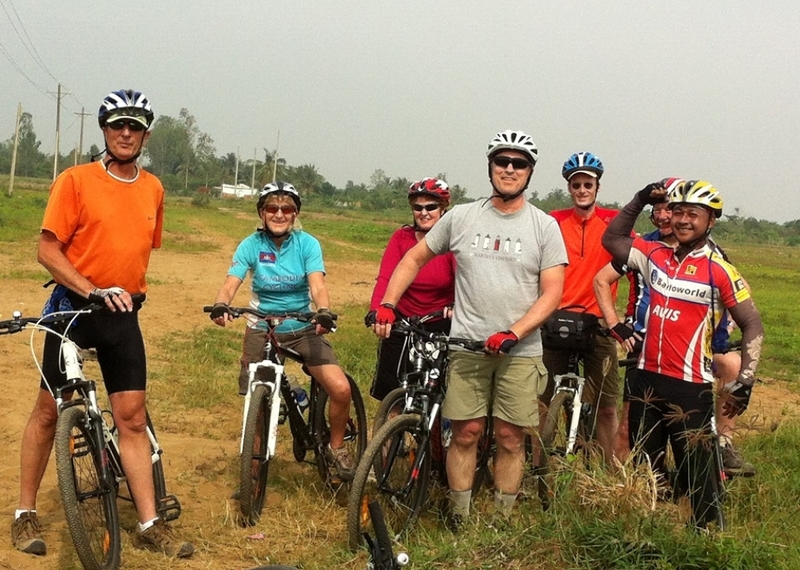 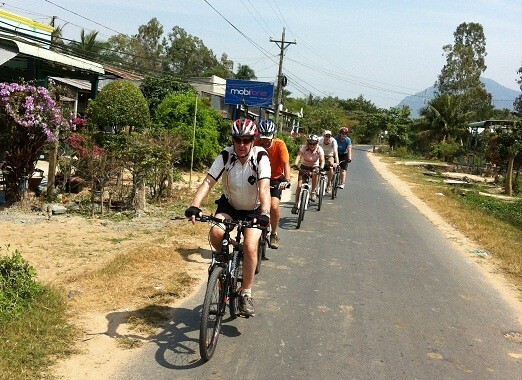 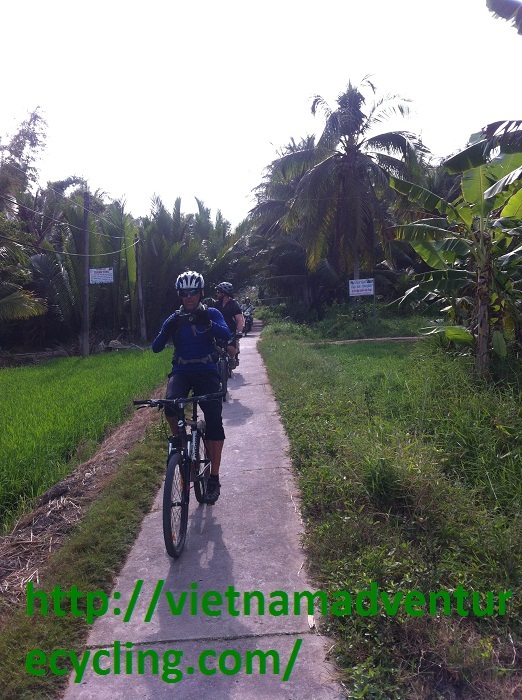 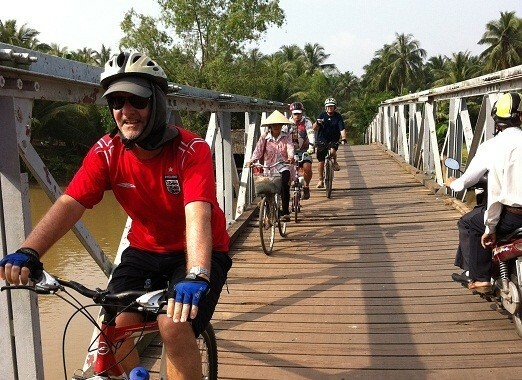 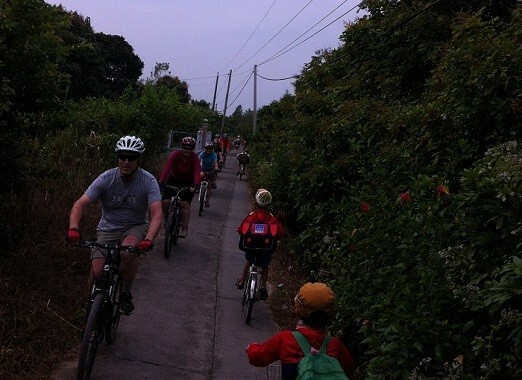 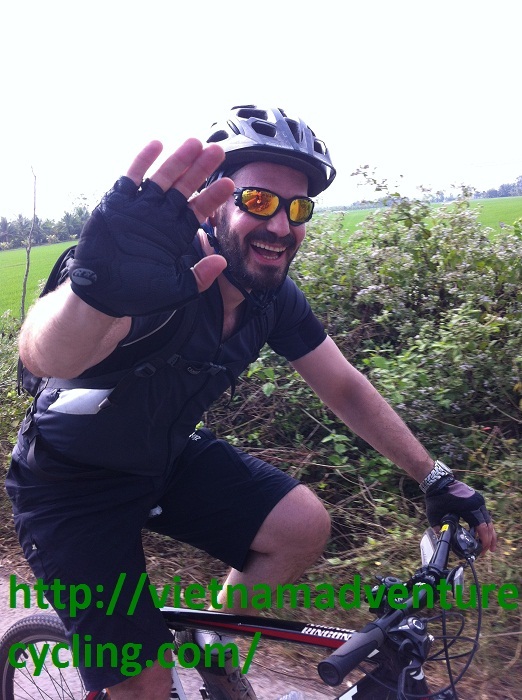 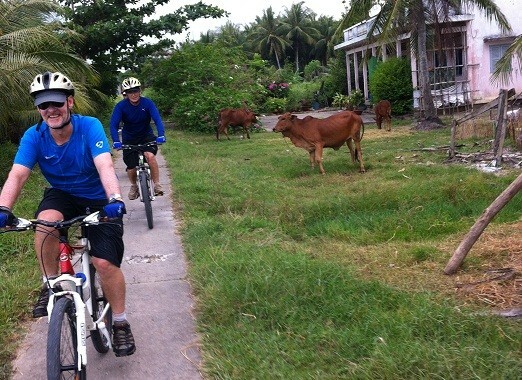 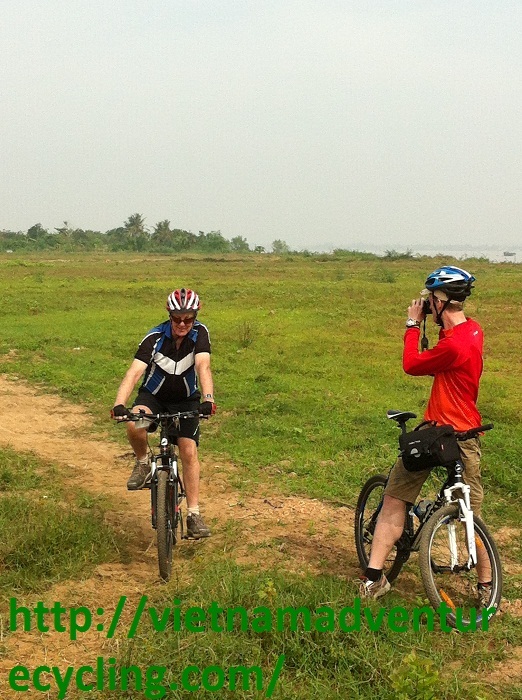 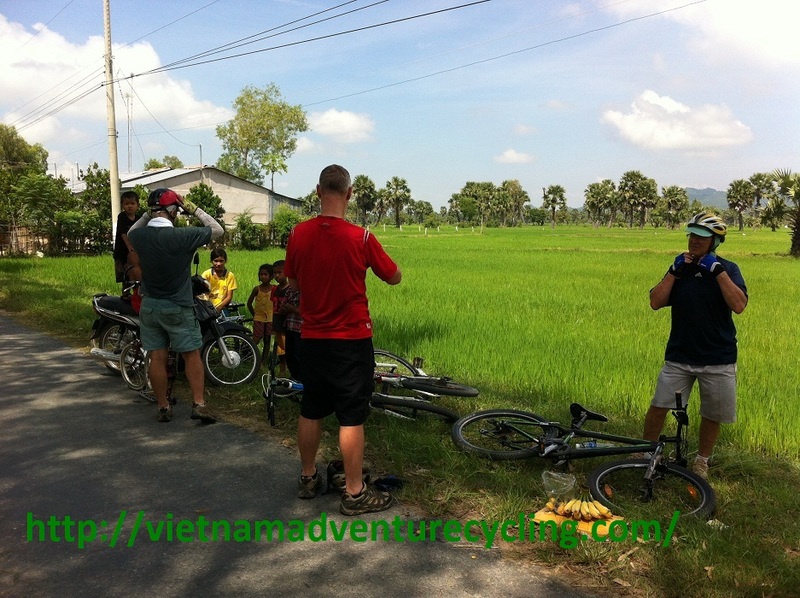 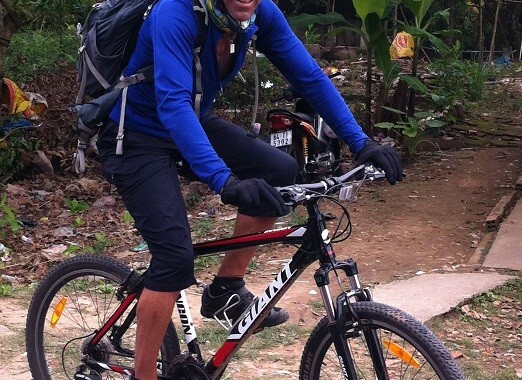 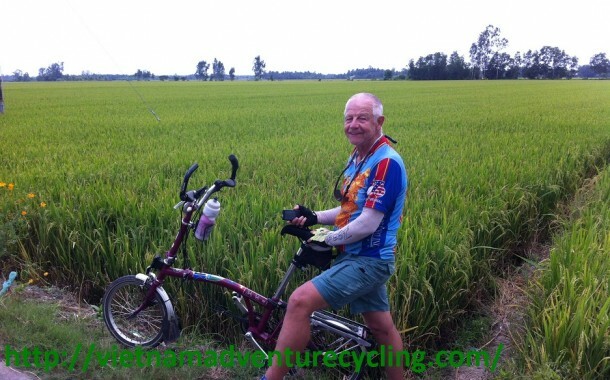 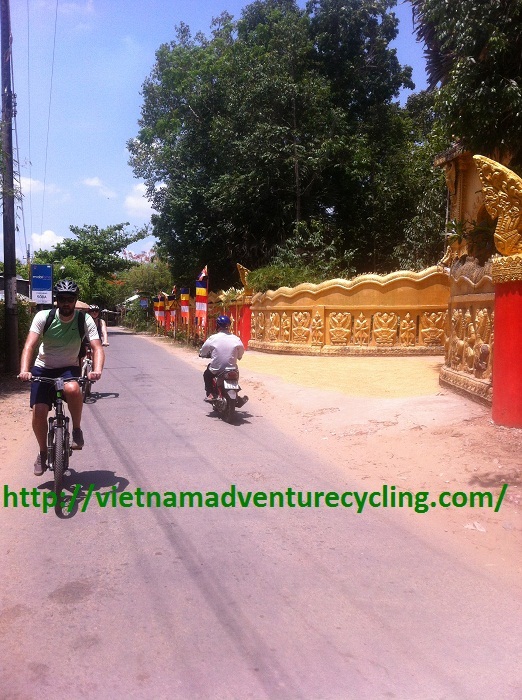 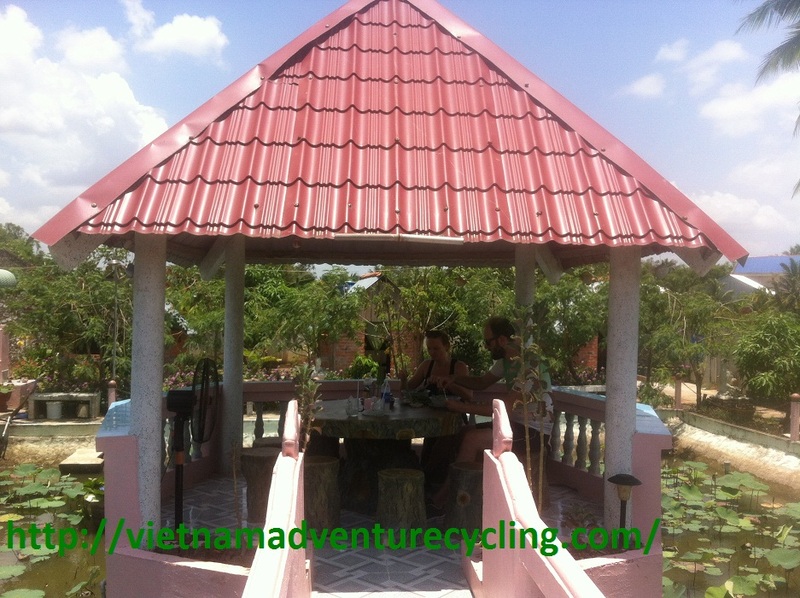 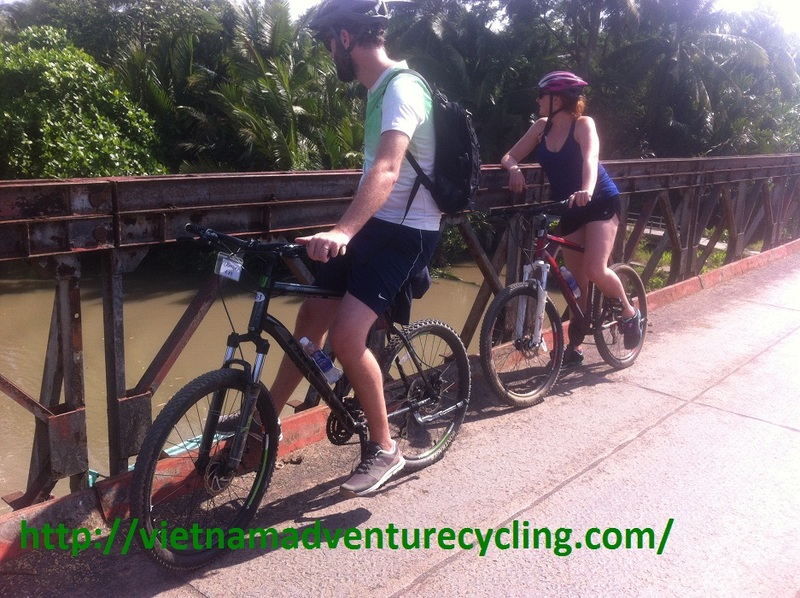 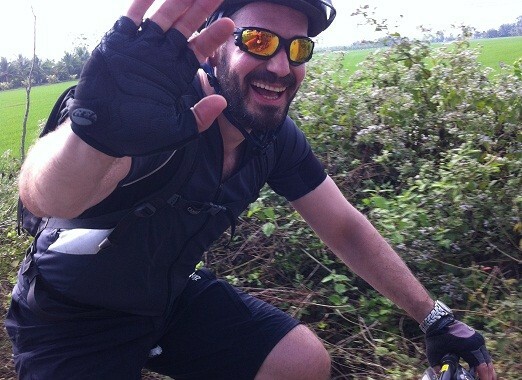 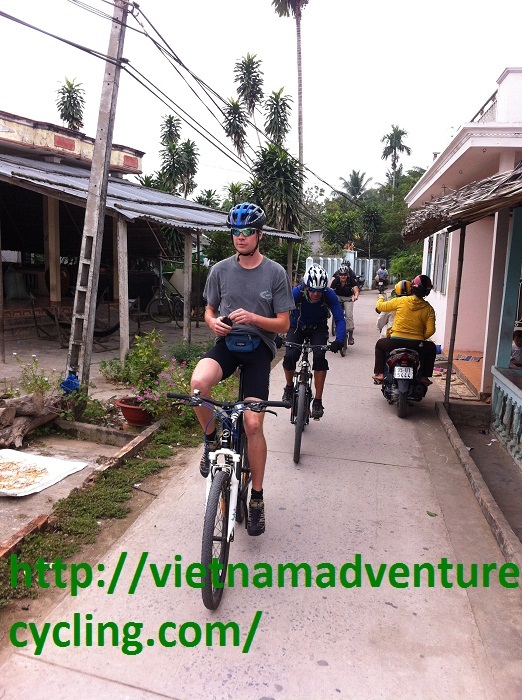 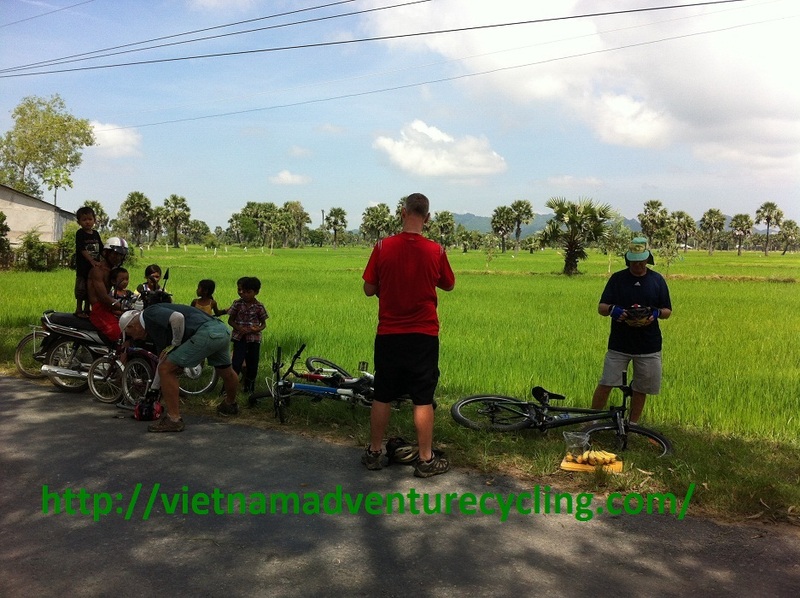 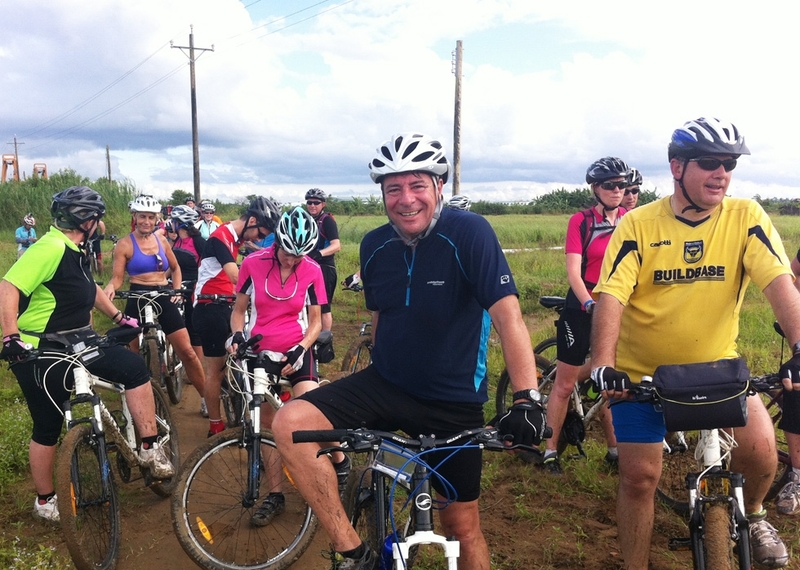 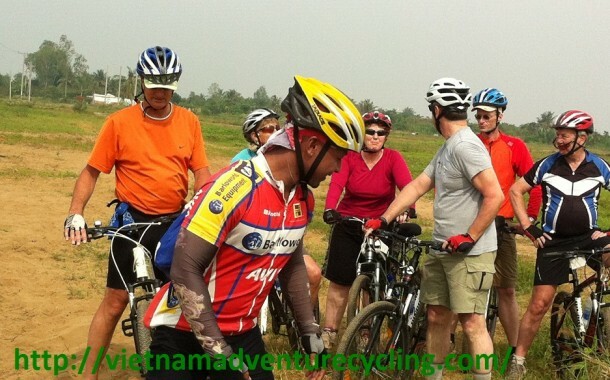 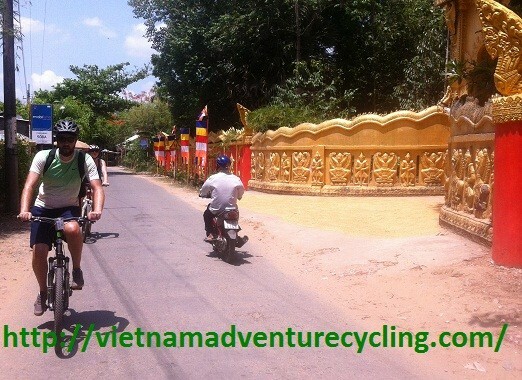 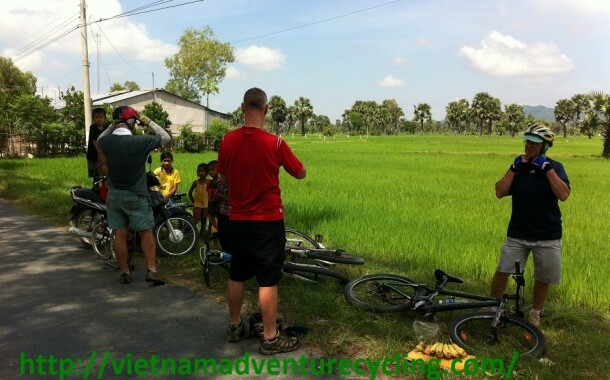 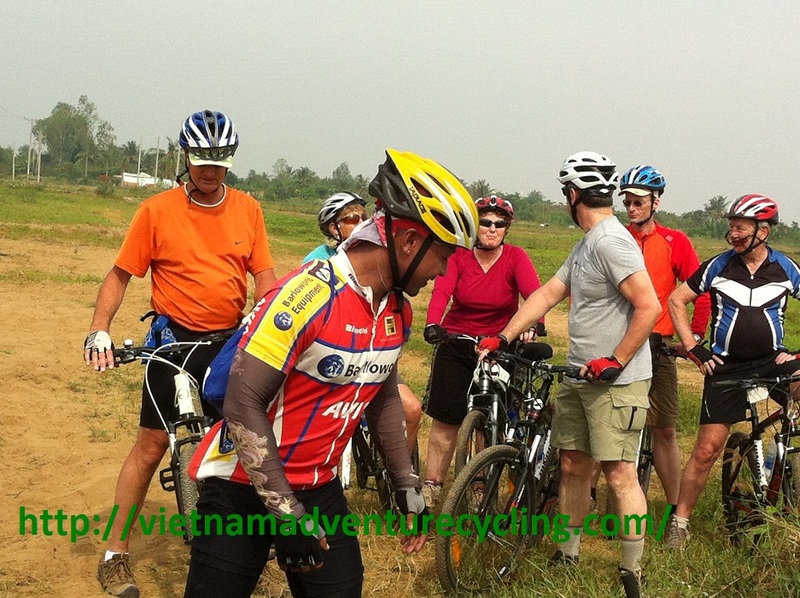 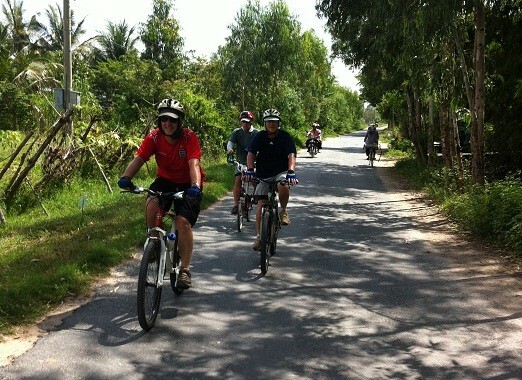 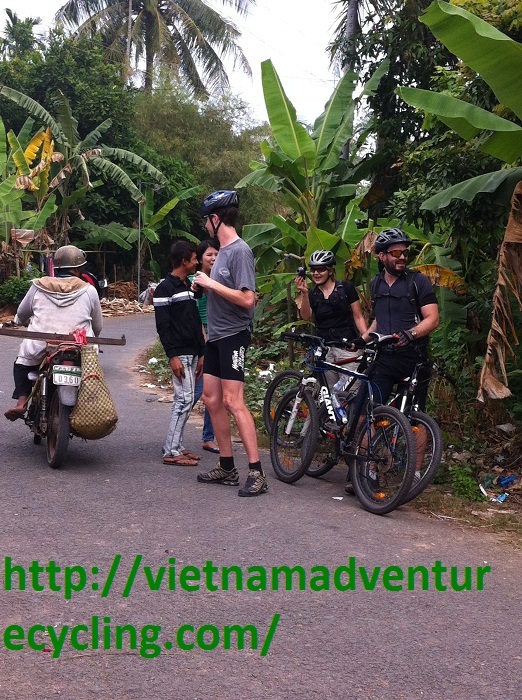 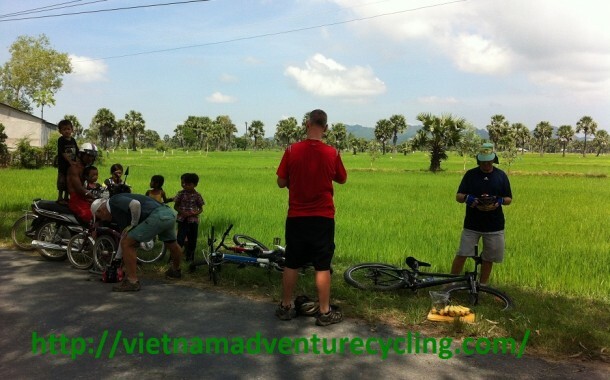 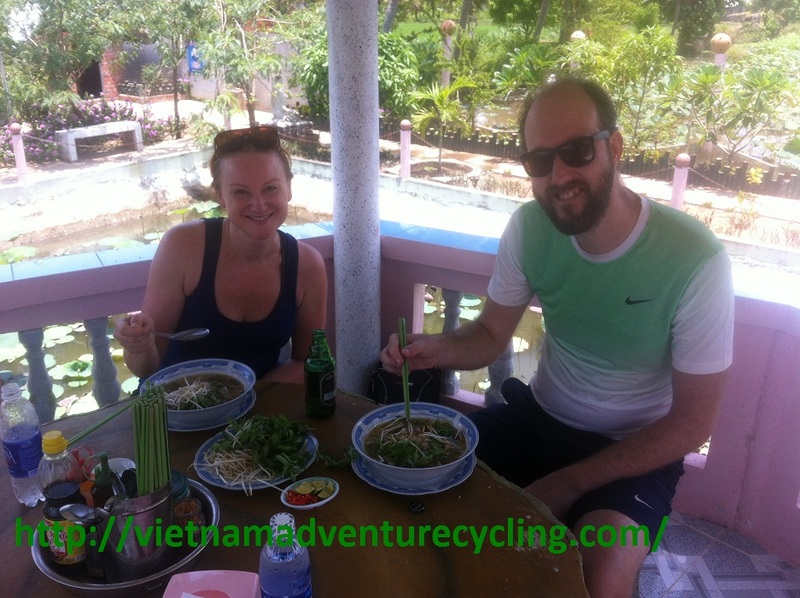 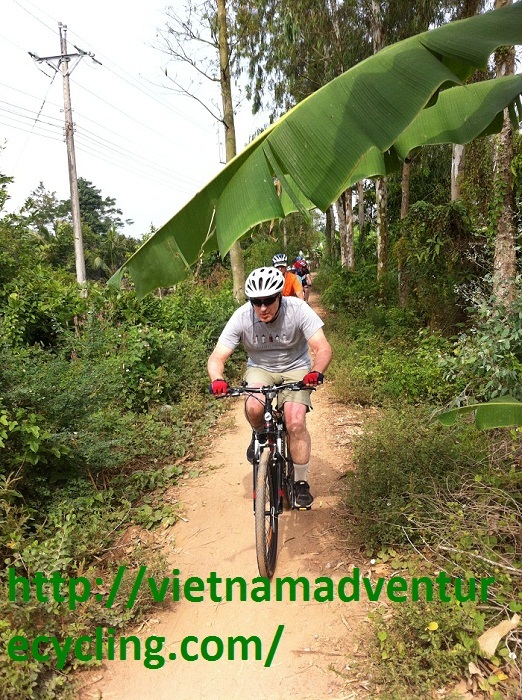 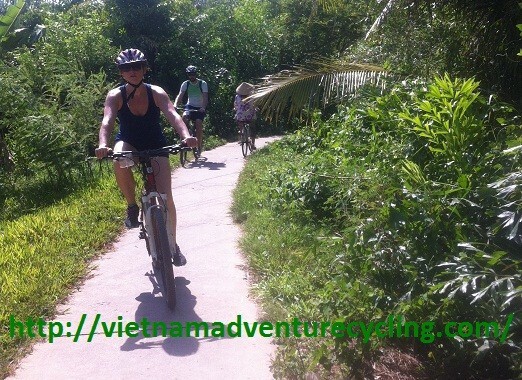 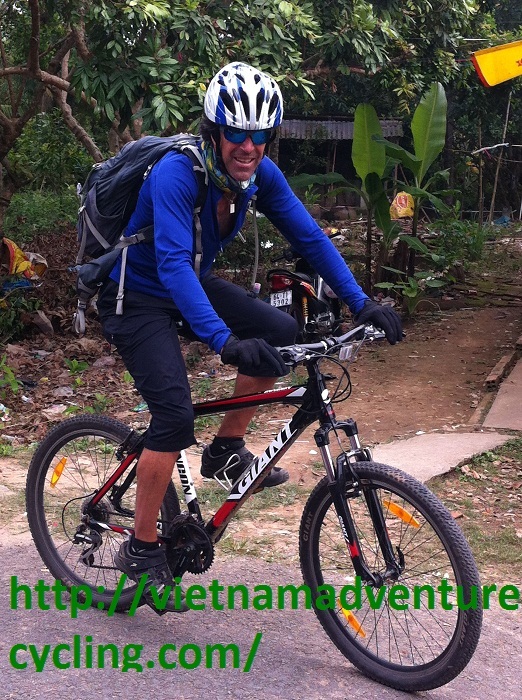 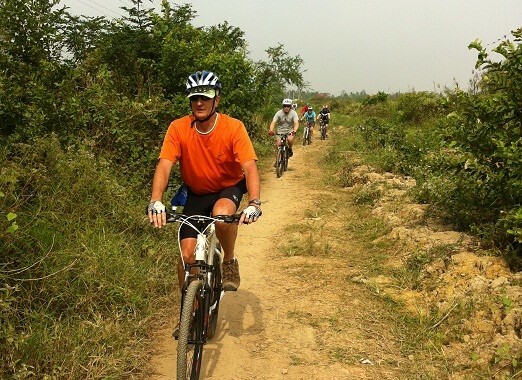 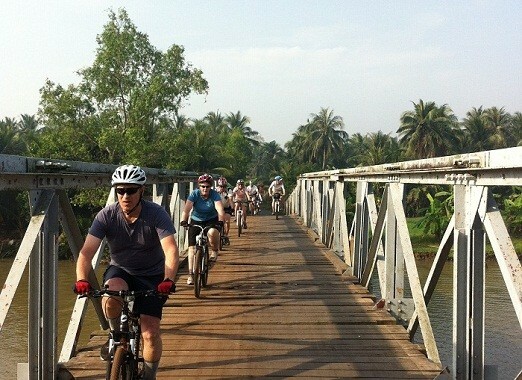 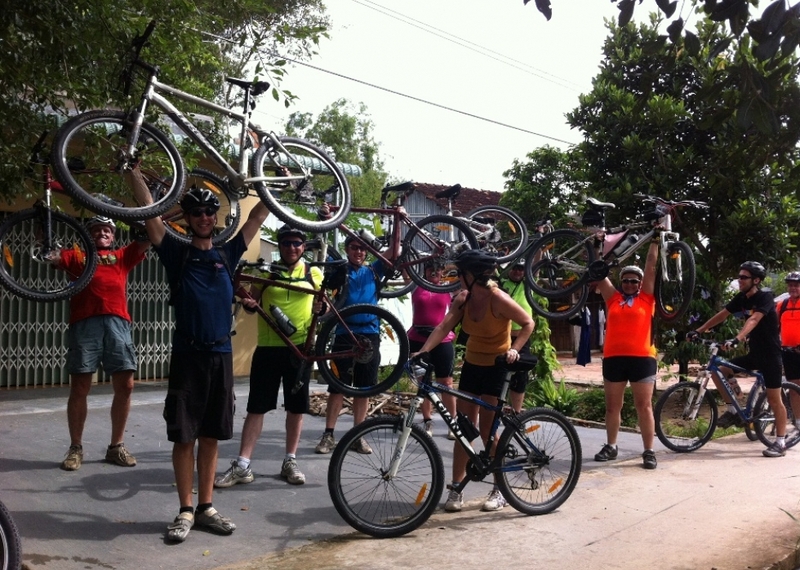 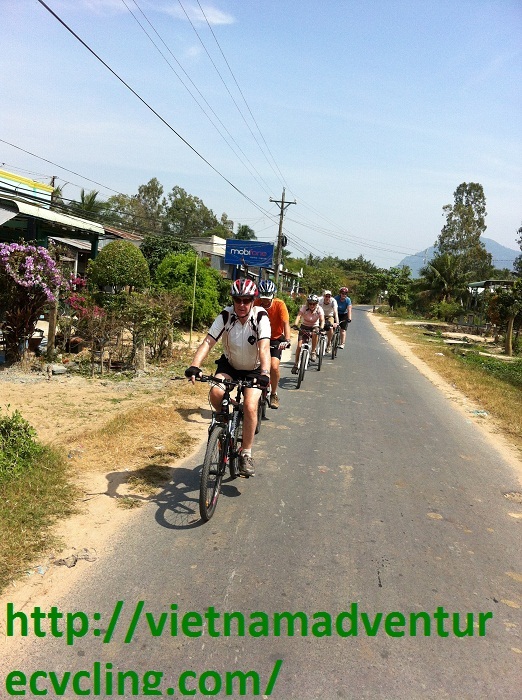 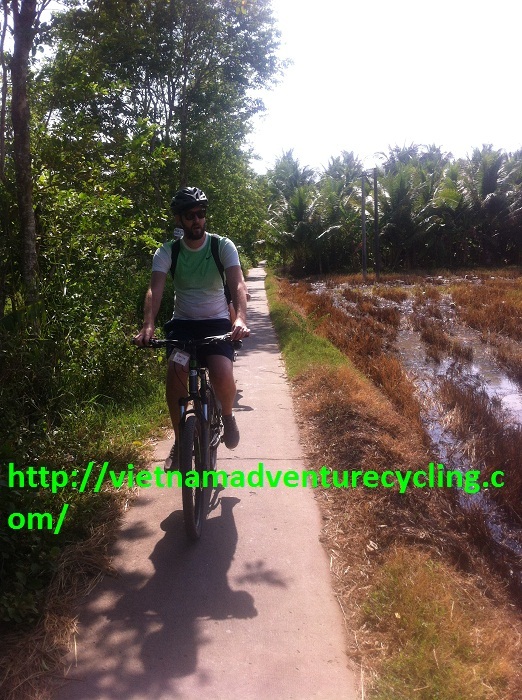 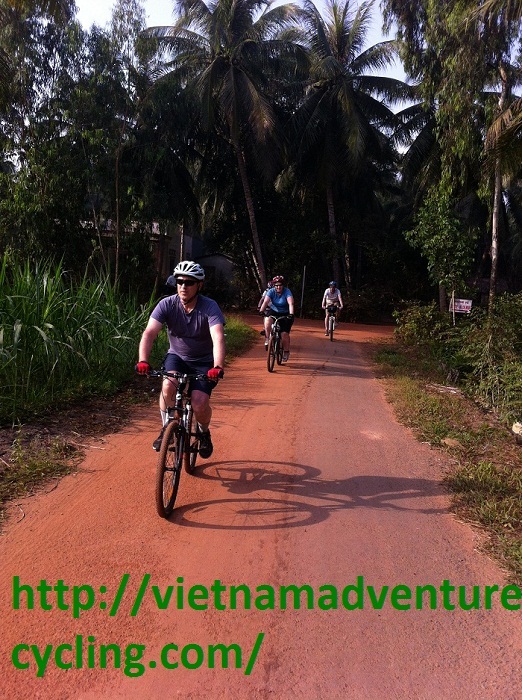 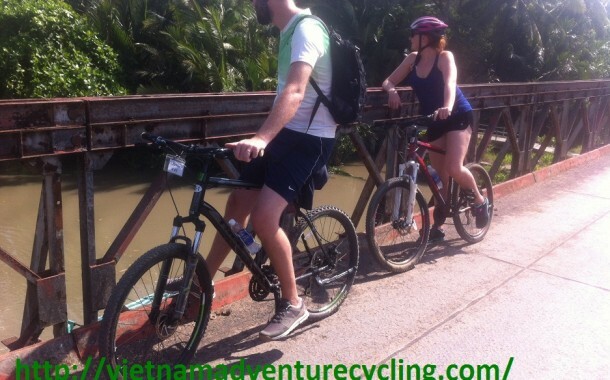 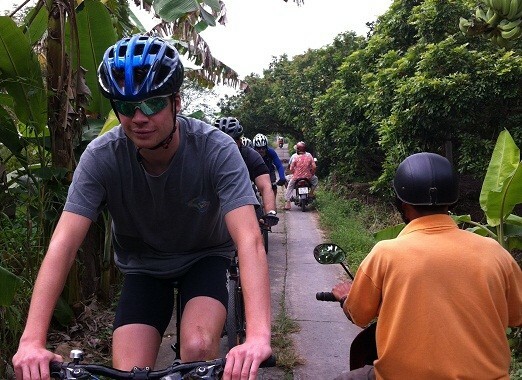 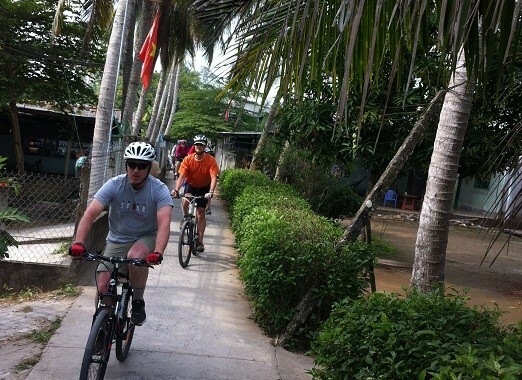 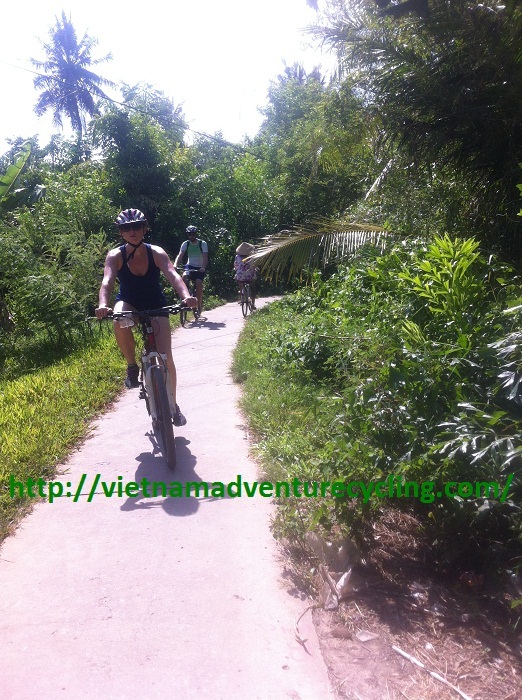 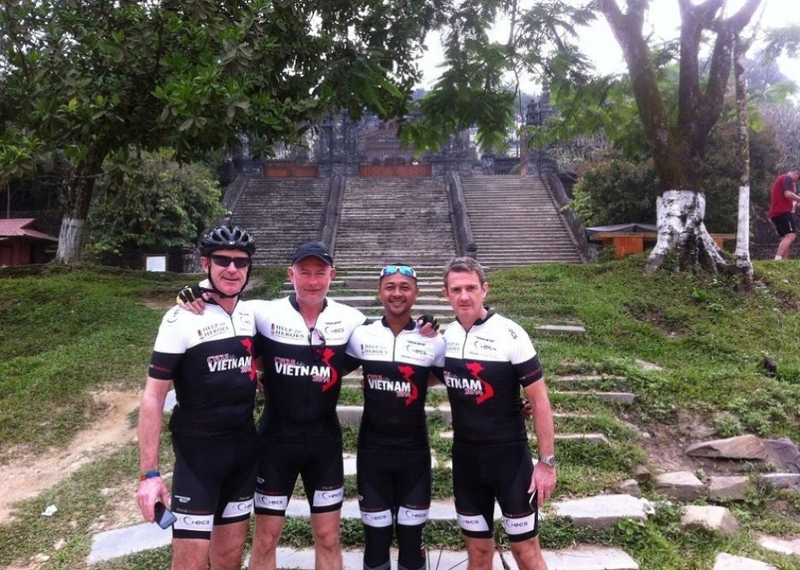 On the third day,our ride will be very special;much of area is populate by khmer people.the regional architecture is interesting and there are many khmer temples to stop and admire en route.you will have the freedome to cycle as much or as little as you prefer;the road is peaceful narrow and very pretty all the way to Can Tho! 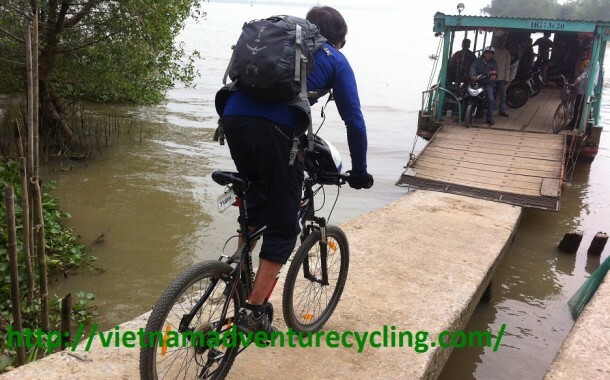 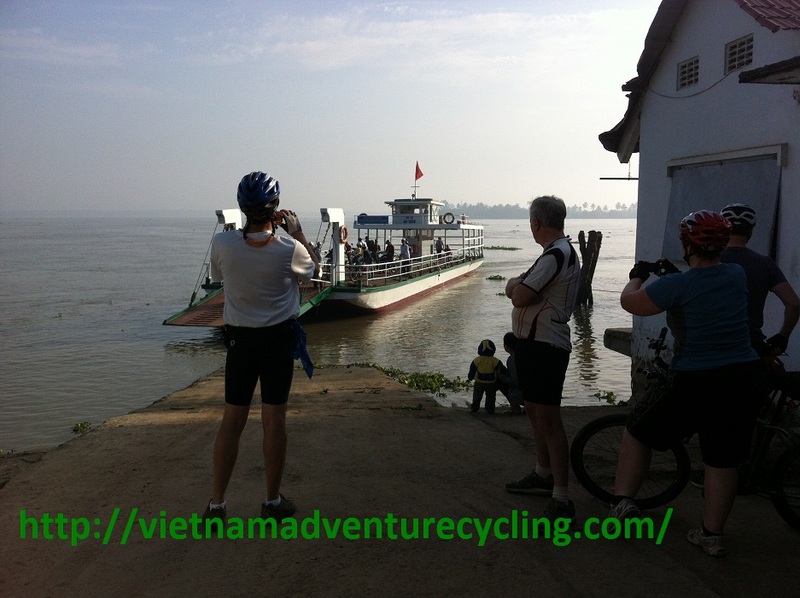 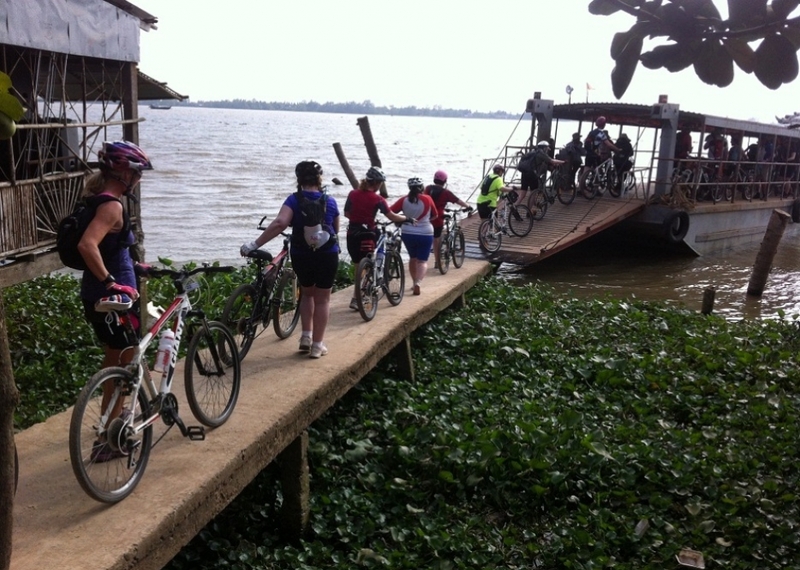 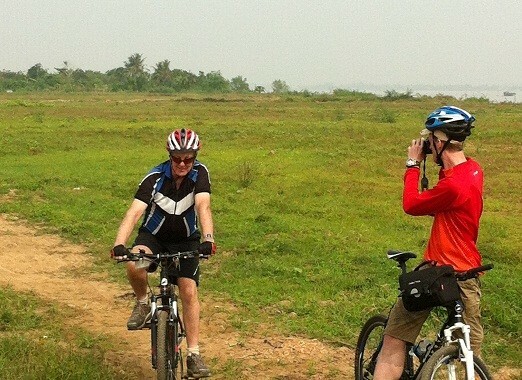 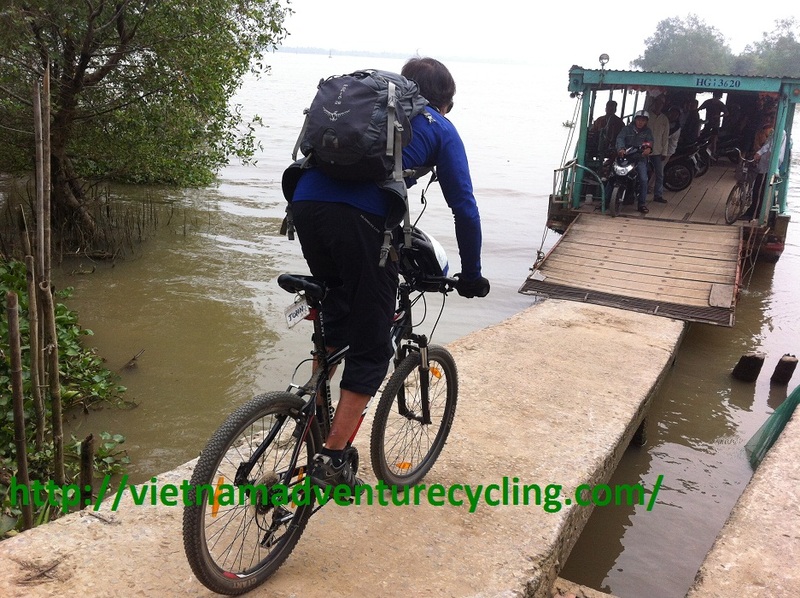 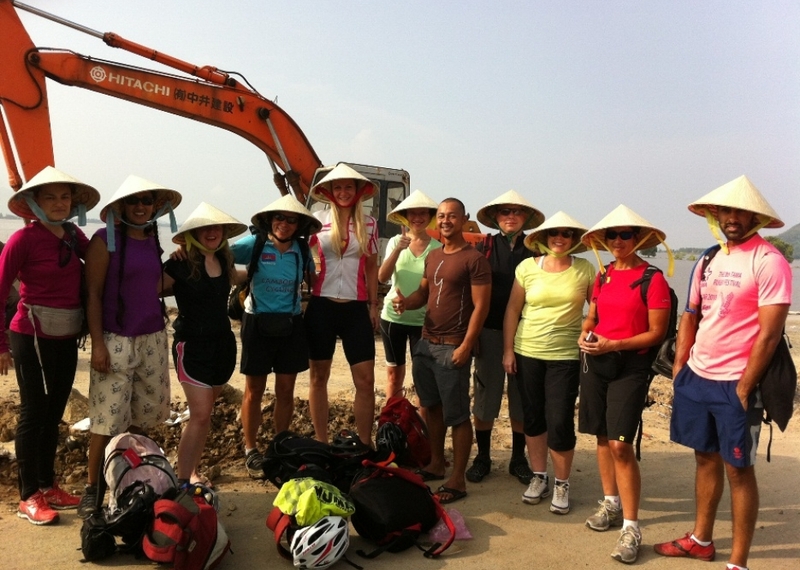 We also do the ferry crossing before we reach the Can Tho city.overning in Can Tho. 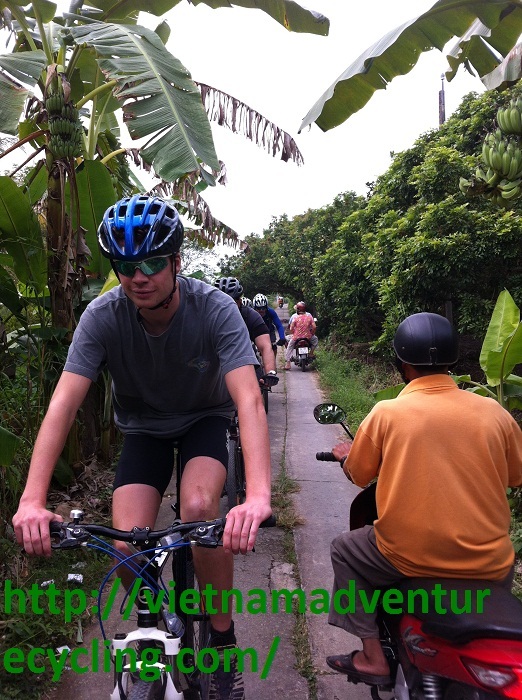 The day starting with the boat trip to sightseeing the Cairang floating market.the trip will finish in a local market so all of you will know how is the different between the local and the floating market.and the cycling trip will be starting from there.Today We will follow the concrete road along the small canal in the mekong delta in the morning we will stop for lunch before we stop for visiting the bird centuary.After that we reach the highway get on the van transfer to Long Xuyen city.overnight in Lon xuyen city. 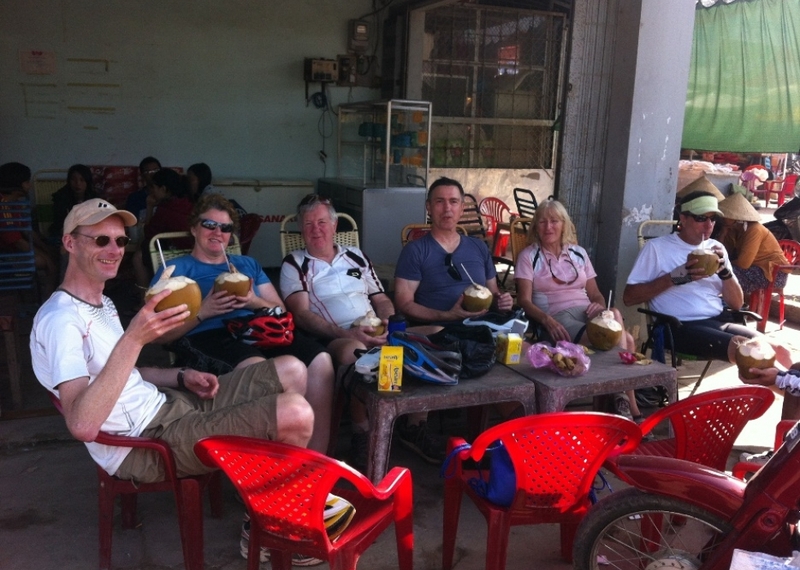 After having breakfast at the hotel. 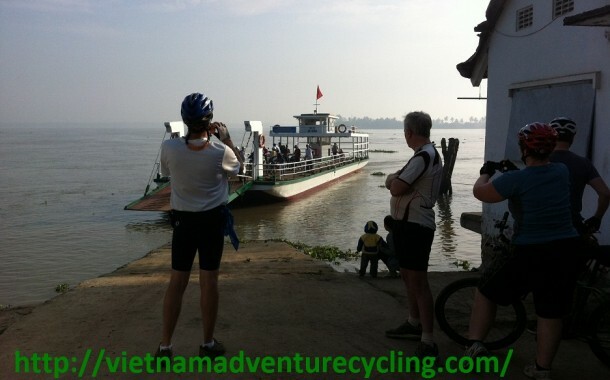 We leave for the floating houses on upper Mekong river by boat where we can see plenty of catfishes, red snappers… breeding under right their houses. 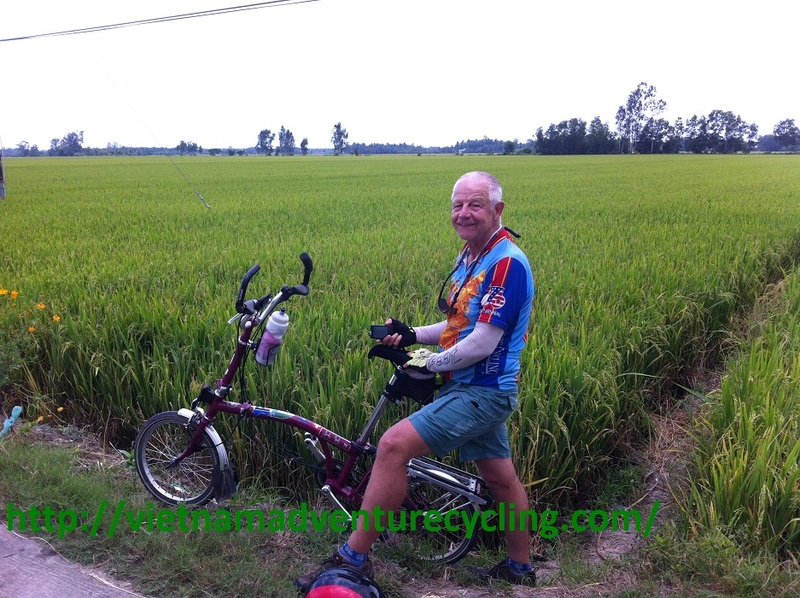 What is an amazing life! 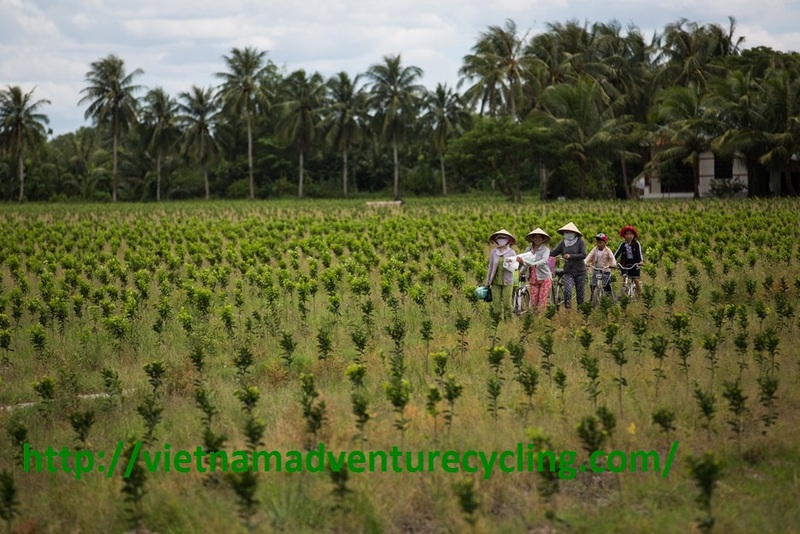 Then keep boating to visit the Cham village with about 12.000 people who those are weaving sarongs, hats…by hands as keeping their ancestral tradition. 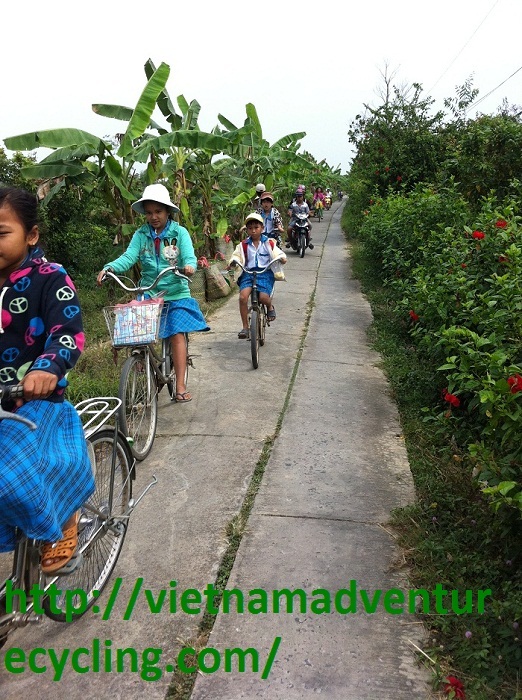 Walk to the mosques that Muslims pray and teach Cham kids in Arabic for a while. 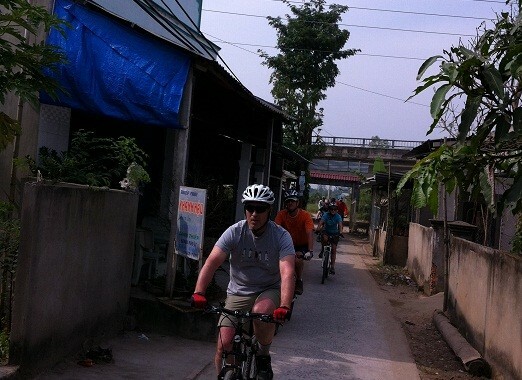 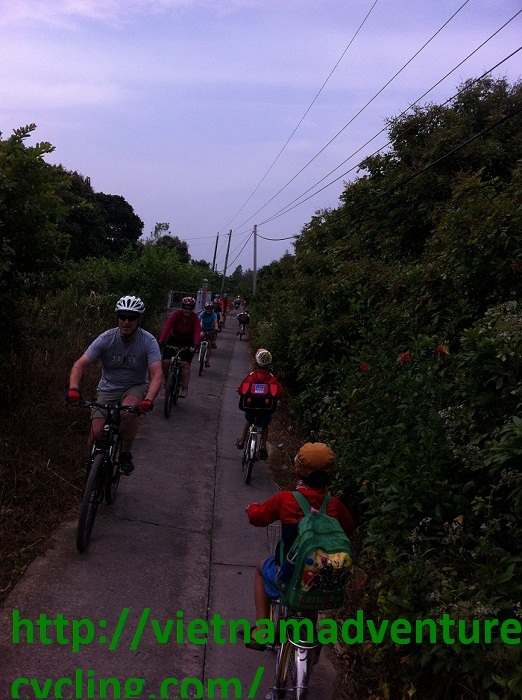 Cruising back to the Van for Ho Chi Minh City.